The latest PYMNTS Global Cash Index™ Spanish Edition (a Cardtronics collaboration) is packed with figures about Spain's cash use, including the number of ATMs and bank branches per 100,00 people. 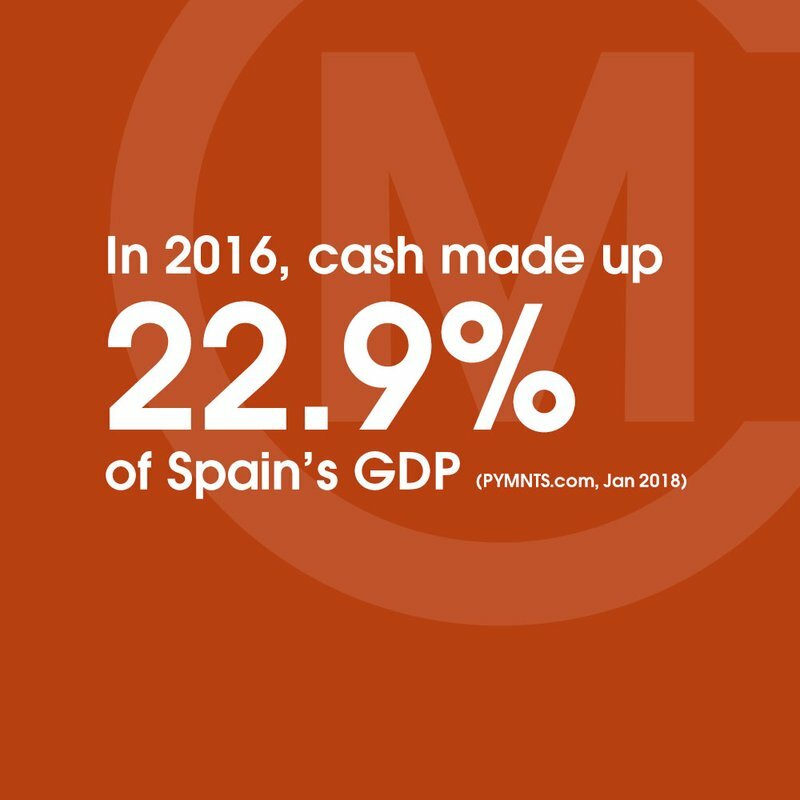 Despite the country's decline in cash use, Spain’s cash share in 2016 accounted for 22.9% of the country’s GDP. Spain boasts an average of 107 ATMs per 100,000 people, one of the highest in Western Europe. The country has an average of 67 bank branches per 100,000. Meanwhile, in Western Europe, the average is 38 bank branches per 100,000. The worldwide average is 28 per 100,000. Spain’s cash share in 2016 accounted for 22.9 percent of the country’s GDP. Spain scores 41 out of 100 on the ATM Availability Index. That’s greater than the Western Europe score of 33 out of 100 and the worldwide average of 28 out of 100. Overall, approximately €253 billion in cash was spent in Spain in 2016. PYMNTS. 'Global Cash Index™ Spanish Edition'. PYMNTS and Cardtronics. Electronically published on January 12, 2018. Accessed January 13, 2018. Curtailing cash will do little when criminals already make use of a diverse portfolio of payment technologies and types.[...] Increasingly, electronic forms of transmitting and converting value are just as essential, if not more so, in supporting criminal as well as terrorist activities. The Spanish government have announced a series of proposals designed to tackle tax fraud. The first is to lower the limit on the amount of cash that can be spent in one transaction from an existing €2,500 to €1,000... These measures were due to be approved in the Council of Ministers on Friday 2 December 2017.